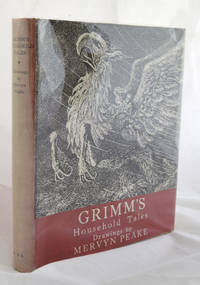 London : Eyre and Spottiswode, 1946 A very good copy of Grimm's Tales illustrated by Mervyn Peake. This book was published just after World War II and had to conform to the economy regulations of the time, so it is hard to find now in good condition. 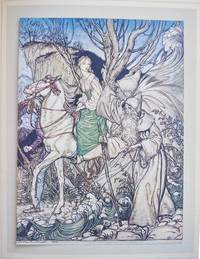 Peake's illustrations are unforgettable. The dustwrapper is complete, bright and clean. 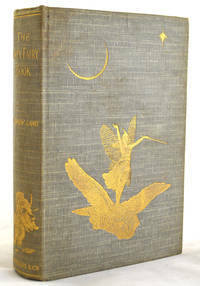 The spine is faded and there is a large repaired tear mainly affecting the top of the back cover. It is in a removable protective wrap. 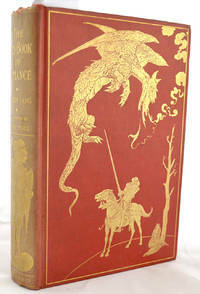 The yellow cloth binding with a decorative border is clean and sound. There is a small indentation at the top of the front board and the bottom corner of the back board is bumped. 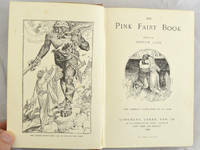 The contents include a decorative colour title page (double page), 4 further colour and 16 black and white full page illustrations and numerous illustrations in the text - all in very good clean condition. Size 17.5 cm x 21.4 cm.